This level has medium difficulty. 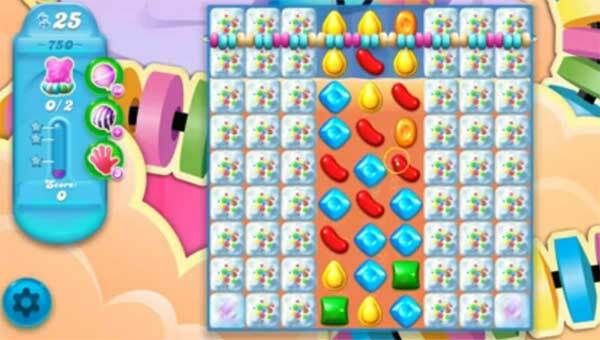 For this level try to play more top from the soda to shuffle the candies and make special candy as you get the chance. Or play near to blockers to break them. As you have bear then play above the bear to take him to the top. Yes, it’s definitely different. There are 4 rows at the top that are not covered. That makes a hug different! Even with all the boosters I must have been trying it 60 times so far. Why is this different from the one above, getting nowhere with this and its really boring day after day, need more moves or make it the same as above at least we would have a chance too much liquirice as well, come on!! Medium difficulty does not describe this level. Pretty much impossible without more moves. Medium difficulty does not describe this level. Pretty much impossible without more moves.and no i have not already commented this.